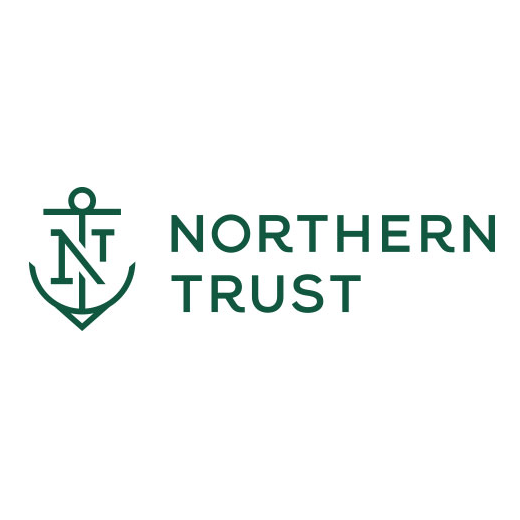 Northern Trust's international business has grown dramatically over the last decade. Some of our largest clients are located in Asia and Australia, which represents a rapidly growing client base for the company. Since 1986, we have been serving clients in Asia-Pacific (APAC), including corporate pension funds, investment managers, insurance companies, government agencies, family offices and corporations. Our intricate understanding of the region allows us to provide unique insights and strategic perspectives to our clients. Currently, we have client offices in Beijing, Hong Kong, Melbourne, Singapore, Seoul, Tokyo and Kuala Lumpur. You will coordinate project activities for a specific business area. Identifies, defines, and oversees project phases. Establishes timeframes and monitors progress toward completion of projects. •Interviews and collects data from internal partners. Analyzes and recommends improvement plans. •Works with internal partners on BC/DR documentation. •Works with vendors to coordinate implementation, confirm pricing, and/or make enhancements to vendor products or services including onboarding the vendor onto the Procurement system, input of requisitions etc. •Prepares and presents regular status reports for management such as measurement reporting, process improvement results, financial reports, etc. •Interacts with all levels in functional and system support areas in developing project activities. •Conduct regular SLA due diligence meetings with 3rd party vendors, Head Office etc. Northern Trust is an equal opportunity employer. We aim for excellence in our efforts to recruit, develop and deploy the highest caliber workforce. Our commitment and success to a diverse workforce is evident in employee satisfaction and industry acknowledgment. For a list of all our achievements please click here . The role holder is responsible for leading the development of Global Credit Card Partnerships including Network Scheme (primarily VISA and Mastercard) relationships, and working with Technology teams to drive implementation of Credit Card products, features and customer journey enhancements within the context of the wider global Credit Cards & Personal Loans ("CCPL") strategy. This includes agreeing these partnership strategies with the relevant group, region and country level stakeholders, along with associated financial and non-financial targets and periodically reviewing performance against these targets in line with the Group's performance management frame-work. While country CCPL Heads are accountable for CC profitability and performance, the role holder is concurrently held accountable for the implementation, as well as, financial and non-financial performance of the partnership agreements and programs, scheme incentive agreements, leverage of scheme assets, and enhanced delivery technology capabilities for the credit cards business. • Leveraging analytics and collaborating with group, country and region teams to provide thought leadership on strategic co-brand, offer / benefit partnerships, including associated costs and benefits. • Managing relationships with VISA and Mastercard on a strategic, as well as, day to day basis. • Ensuring full leverage of scheme incentives and assets to further the objectives of the business to drive EVA accretive strategies in alignment with scheme partner interests. • Ensure receipt and reconciliation of scheme incentives and appropriate allocations in alignment with group, region and country needs. • Conceptualize and work with technology and digital teams to deliver customer journey, products and features enhancements to further the business's capability to differentiate our product offering and deliver better customer experiences and benefits. • Leverage analytics to ensure all partnership and scheme agreements are competitive, to ensure the best value for the group, and the resultant product, offer, campaign programs are EVA accretive. to create global scale, innovation, content and fully leverage assets and incentives from VISA and Mastercard. •Engagement with group policy owners and/or risk control owners for the implementation of policies and control standards set by them. • Ensuring appropriate procedures and controls are in place to operate within the group credit and operational risk tolerance and appetite. • Defining and driving global (versus local) regulatory and compliance standards for managing partner relationships and technology capabilities, and working closely with markets to ensure they are met. • Building the right conduct culture. • Ensure relevant Credit Card subject matter expertise is provided and projects are delivered by the relevant delivery teams to the business's requirements, and as per group defined project processes. • Lead through example and build the appropriate culture and values. Set appropriate tone and expectations for working and collaborating with internal and external stakeholders. • Ensure partner teams for partnerships / projects from critical functions are suitably skilled and qualified for their roles, including effective supervision in place to mitigate any risks. • Provide feedback to project / stakeholders to appreciate, encourage and enhance performance. • Collaboratively partner with risk teams to ensure risk management procedures and processes are effectively implemented to operate within operational and credit risk appetite. • Partner with country CCPL teams for a robust risk management environment by identifying key risks and issues and ensuring effective mitigating measures and controls are implemented. • Work collaboratively with countries and functions to ensure any audit findings are suitably rectified, as it relates to their areas of portfolio intervention. • Develop and implement a clear structure of accountability to ensure cross functional team members can perform their roles successfully and there is clear oversight and decision making, including by relevant Committees. • Take responsibility for assessing the effectiveness of arrangements to deliver effective governance, oversight and controls in business, and if necessary, oversee change in these areas. • Maintain an awareness and understanding of the regulatory framework in which the firm operates, and the regulatory requirements and expectations relevant to the role. • Work with regulators in an open and cooperative manner. •Lead Group Credit Card Partnerships and Projects to achieve the outcomes set out in the Bank's Conduct Principles : Fair Outcomes for Clients; Effective Financial Markets; Financial Crime Compliance; The Right Environment. •Leverage the opportunity provided by Corporate Social Responsibility to create positive impact . • Embed here for Good and Group's brand and values across the retail bank. • Perform other responsibilities assigned under Group, Business, Function, Region or Country policies and procedures. • Post Graduation / MBA. • Minimum 12 years work experience, with 6 years in credit cards. • Credit card partnerships and projects experience. • Good interpersonal, negotiating and influencing skills. •Experience with sales operations, warehousing and logistics, dry bulk shipment management and container shipment required. Our client is a top notch/global commodity trading firm. It is hiring sales ops specialist for its base metal team. There is a team lead/ manager role (min 8 years of related exp)opening and an experienced sales ops specialist (around 3 to 7 years of related exp) made available now. Execute the fulfilment of contractual sales transactions to satisfy the firm’s and customers’ contractual obligations. These roles are critical in execution of shipments/air freight related activities as per contractual / commercial terms and to optimise value creations for all commercial activities. • Execute shipping plan according to vessel schedule availability, customers’ requirements and expedition dates. • Provide instructions to logistics service providers and suppliers to ensure timely delivery of products. • Review all quality certificates to ensure delivered commodity is within contractual tolerances. • Ensure all shipping documentation and invoices generated are in order as required, e.g. bill of lading and quality certifications. • Involves in LME/ Bonded warehouse cargo storage and cargo release operations. • Warehouse management activities inclusive of reweighing process and quality update. • Support LME warrant conversion, warrant cancellation, warrant trading activities. • Provide a close coordination between sales and operational logistics (within the producing country). • Confirms with customers on each shipment plan with any changes required to consignee, delivery destination, customs clearance documents, etc. and follows up the change process in contract and Trading system on time. • Ensure all shipping documentation and invoices generated are in order as required, e.g. Airway bill and quality certifications. • Manage leasing activities and arrange payment of custodian fee. • Check and / or operate all Letters of Credit for integrity and workability against the shipment. • Obtain LC confirmation and discounting quotes from bank and support discounting process by submitting all related documentation to banks. • Liaisons with Finance on payment receipt and final invoices are booked on a timely basis (service authority to finance / monitoring authority). • Manage customer communications and deliver high service level to the customers in terms of quality and logistics services and meeting their expectations. • Manage customer operational logistics interactions and communications to optimise logistics results. • Facilitate and coordinate customers and supplier’s claims / queries to ensure speedy resolution. •Experience with sales operations, warehousing and logistics, dry bulk shipment management experience and container shipment management experience (key focus). •Experience of managing credit risk using trade finance instruments such as letters of credit (key focus). •Proficient in Excel and experience with ERP system. •Proactive, disciplined, organised approach to work. •Highly organised, strong workflow/coordination/process orientation. •Proven track record of working independently with minimum supervision. To apply, please send your cv in word doc to (Hidden Text). Please also include details of your current salary, expected salary and notice period in your cv. customer accounts and does business in more than 160 countries and jurisdictions. 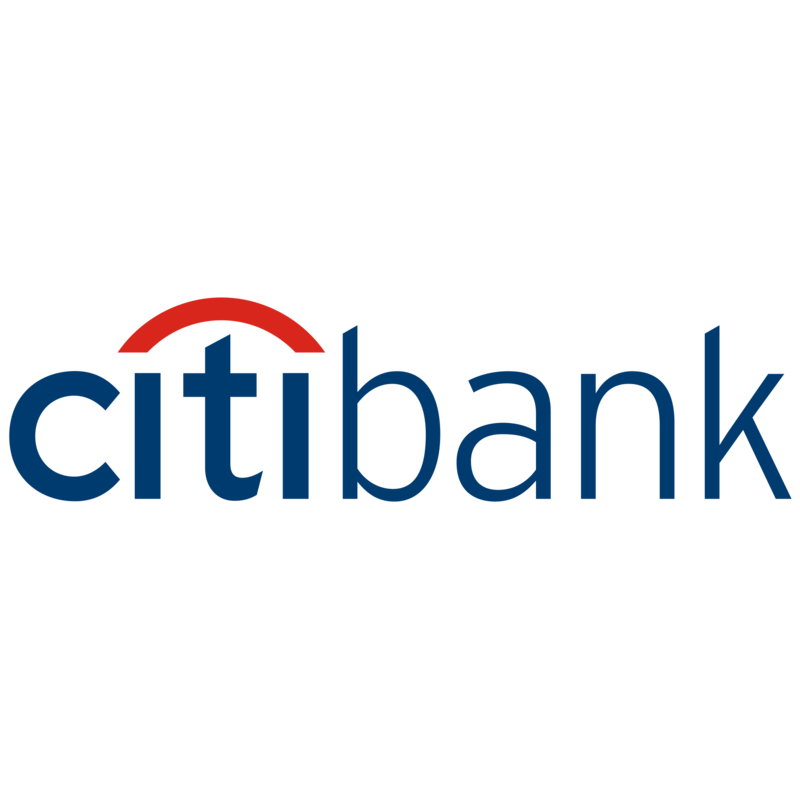 Citi provides consumers, corporations, governments and institutions with a broad range of financial products and services, including consumer banking and credit, corporate and investment banking, securities brokerage, transaction services, and wealth management. Our core activities are safeguarding assets, lending money, making payments and accessing the capital markets on behalf of our clients. Citi's Mission and Value Propositionexplain what we do and Citi Leadership Standards explain how we do it. Our mission is to serve as a trusted partner to our clients by responsibly providing financial services that enable growth and economic progress. We strive to earn and maintain our clients' and the public's trust by constantly adhering to the highest ethical standards and making a positive impact on the communities we serve. Our Leadership Standards is a common set of skills and expected behaviors that illustrate how our employees should work every day to be successful and strengthens our ability to execute against our strategic priorities. • Design, develop, deliver, and maintain best-in-class Sanctions Compliance policies and practices; provide a mechanism for identifying key sanctions risks and how the mitigation of those risks would be monitored and measured through a robust control framework in Singapore. Ensure that reviews are conducted consistently across each entity on a regular basis to ensure that the controls identified are operating effectively.Act as an Economic Sanctions Subject Matter Expert in Singapore responsible for overseeing the bank's risk-taking activities. • Manages a specialized teams of Independent Compliance Risk (ICRM) officers in Singapore responsible for the execution of Program activities. Develops, attracts, and retains talent; recommends staffing levels required to carry out the unit's role and responsibilities effectively while establishing and adhering to talent management processes and compensation and performance management programs; Responsible for the review of complex transactions and deals. • Provide oversight and guidance over the assessment of complex issues, structures potential solutions and drives effective resolution with other senior stakeholders inSingapore. Provide advice to the businesses on an ongoing basis on new Business initiatives, new products, business acquisitions, and client-related matters with respect to applicability of policies, resolution of potential red flags or other client/transaction-related compliance escalations. • Act as the main point of contact for US and foreign regulators and Citi internal audit staff for Singapore Sanctions matters, as appropriate, including coordinating Sanctions-related examinations, audit and reviews, document production, and issue responses. • Disclosures and relevant regulatory correspondence. • Monitors adherence to Citi's Global Sanctions Policy and relevant procedures in Singapore; is up to date on key Sanctions regulatory changes, key enforcement actions and related industry trends. • Identifies and escalates to the Chief Sanctions Officer material risks and significant instances of non-adherence to the Framework by accountable front line units; directs investigations in coordination with GIU, CSIS, Legal, HR or as appropriate. • Interacts with Senior Management to raise awareness of Sanctions trends, emerging issues, remedial actions or enhancements to the program; supervises the preparation of materials for the Board or relevant management/risk committees. • Participate in and manage or coordinate, as appropriate, various internal assurance processes, e.g. Regional Enterprise wide and Horizontal risk assessments, self-assessment, internal audit or compliance assurance reviews. • Acts as the single escalation point in country, representing Sanctions program globally in relation to all projects, escalations, issues and policy changes. • The employee consistently compares different scenarios and are required to weigh up risk, with impact on Compliance and Operations functions as well as the Business, and the impact it may potentially have on the financial success of their products. • That Policy interpretations for Sanctions are consistent and adapted/exemptions are given providing the mitigating controls in place meet the programs risk appetite. Demonstrates the ability to change internal Sanctions procedures, or Operations Business procedures to ensure sanctions policy is being complied with. • Advises and execute on processes designed to address new sanctions legislation. • Constantly advises Business on Sanctions legal and program requirements with regards to client onboarding, transactions, and emerging risks. As well as significant issues. The individual leads the re-engineering projects for Sanctions highlighted as priorities. • Investigates and resolves matters of serious issues relating to sensitive sanctions gaps/procedural failures and the threat of enforcement action by regulators. • Experience in managing regulatory exams and relationships with examiners, auditors, etc. • as one of senior managements main points of contactIf you would like to apply to this job, please apply directly. corporate clients, the lab focuses on developing new banking channels such as mobile and tablet; exploring new technologies to enhance our client's experience in working with Citi. Through the use big data analytics the Lab helps to create cross-product solutions that improve our client's working capital, stabilize their supply chains and improve their processing efficiency. For our public sector clients, the lab focuses on solving key challenges in digitizing the delivery of public services; exploring opportunities inherent in disruptive new technologies such as digital money; and in helping the sector tackle fraud and overpayments in the delivery of government benefits. Operating on a lean start-up model, the labs have the ability to move a new solution from incubation to launch quickly which allows Citi to bring Innovative new products to market faster. An Innovation Catalyst must be highly motivated, have proven leadership ability and experienced working with senior client stakeholders and enterprise applications within the financial services industry. - Is expected to challenge the status quo, question assumptions and generate new ideas by looking at situations from multiple angles. - Should be open to learning and exploring new information and practices; interested in understanding how things work. - Needs to be comfortable taking calculated risks and purposefully put self in challenging situations where success is not always guaranteed. - Must remain engaged during stressful situations brought on by ambiguity and conflict. Citi is committed to becoming the world's leading, global digital bank and to developing new and innovative ways of working to improve the experience our clients have of working with Citi and its products. We are looking for candidates who will be help maintain our success as leaders within global transaction banking, and accelerate our efforts to become a major part of the future of cash management and trade solutions. The successful individual must have background in innovation including design thinking, prototyping and also have solid commercial awareness. •Create new & maintain existing partner and vendor relationships. 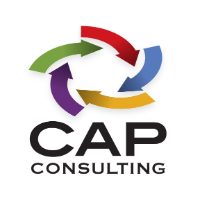 •As the catalyst you will retain overall control and will be accountable for delivering innovative initiatives through:oPartnership- Continually seeks the customer's (internal / external) point of view and uses learnings to create new solutions. •End-to-end delivery- delivering all aspects of projects from business case to production deployment and beyond. •You will gain significant experience of the technologies and businesses involved across Citi applications, giving you exposure to new and existing methodologies and systems as well as the opportunity to work with multiple teams around the globe. •As a member of the Innovation Lab you will have to opportunity to work with a team of highly motivated individuals whose daily job is to think out of the box and look for disruptive opportunities with a commercial benefit. •By working within the senior leadership team of the innovation network you will be highly visibly across the Citi and will have access to a get number of Citi's executive management team. •Experienced is co-creation, solutions development, applied research, experimental development and early design activities to validate/invalidate ideas. •Creative problem solver comfortable with working in rapidly evolving landscape and projects loaded with uncertainty. •Technologically strong and business savvy. •Ability to collaborate effectively across diverse groups from senior stakeholders and clients to junior team members. •Acts with a sense of urgency to move others to action, even when outcomes are uncertain. •Confidence to makes difficult or unpopular decisions and stands behind them. •Experience working with innovative and emerging technology. •Work effectively in cross-organizational situations and be enthusiastic about delivering quality solutions while working with world-class teams, processes and tools. •Excellent organizational, program and project management skills. •Demonstrate excellent technical knowledge and equally enthusiastic about business acumen. •Promote teamwork and maintain effective communication within and across groups. · Assess credit applications (for Business Banking products) in accordance to the Credit Policies and make recommendations for Approvers' decision. · Conduct personal discussions with customers and/or site visits at customers' premises as part of credit assessment. · Analyse financial statements of customers. · Perform User Acceptance Tests (UAT) on changes to approval systems. · Any other jobs or projects assigned. · Positive attitude towards learning. · Fresh Graduate or 1-3 years of experience in Business Banking Products. 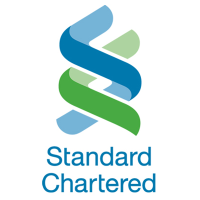 · Some working experience in banking/ finance/ accounting sector preferred. - Review and validation of front office derivative pricing models, as well as XVA, SIMM,. · - Implementation of benchmark models (C++). - Development of alternative models and methodologies in order to assess model risk. - Day to day support of stakeholders in all model related questions. - Liaise with trading, front office quantitative analysts and developers, and market risk and valuation control analysts, to ensure timely review and validation of new models and methodologies. • Higher degree (MSc, PhD, DEA) in highly numerical subject such as mathematics or physics. A PhD is preferred. Candidates with educational backgrounds in less technical subjects such as economics, banking or finance will not be considered. • Strong knowledge of mathematics and stochastic calculus. • Sound judgement in assessing the strength and weaknesses of modelling approaches. • Two to four years experience in either a model validation or front office quant role. At least two years experience in one specific Asset Class. • Practical Knowledge of Derivative products and modelling. • Experience of implementing derivative valuation models in C++ in either a Front Office or Model Validation environment. • Knowledge of Financial Mathematics for derivatives pricing, and associated numerical methods, e.g. Monte Carlo, PDEs and numerical integration. • Strong communication skills and ability to work effectively as part of a Global Team. Fluency in written and spoken English. • Strong writing skills with an ability to present conclusions and recommendations from technical projects to a less technical audience. • Ability to liaise effectively with IT professionals, Front Office traders and quants. The Role Responsibilities Strategic data initiatives in Transaction Banking creates differentiated digital capabilities for clients to access the Bank's transactional services in over 50 markets efficiently and securely. This includes internet and mobile banking for global business clients, direct integration options, as well as services through third parties. business & technology and creating leading edge data analytics solutions. • Strong stakeholder management and inter-personal skills to actively engage with cross-cultural teams across the globe. • Experienced working on global projects and in multi-disciplinary teams. • Proven track records in building professional relationships across and outside a complex matrixed organisation. • Comfortable operating in ambiguity, managing through change and making decisions. Technical Application Support Specialist - Regional Platform Cash and Trade L2 production support. 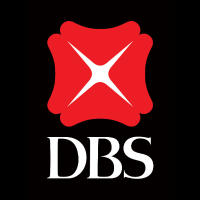 Main role of the position is to support the bank's single and bulk services for Remittance and Payment Products such as SWIFT Telegraphic Transfer, Demand Draft, Cashier's Order, local RTGS payment, GIRO and cheque issuance, plus applications for International trade and FX rates broadcasting system. Support is applicable to Singapore HO and regional countries in the eastern and western block. Daily job scope involves working with various IT partners (system administrators, job schedulers, development teams) and Users to provide prompt and effective production support for the above products and applications. • Technical Specialist responsible for the business application portfolio in payment related applications to ensure its service uptime & day-to-day smooth running (availability and reliability) in order to serve the business per agreed service level targets. • To support users' enquiries and perform due diligence to ensure ease of maintenance, operation efficiency and system monitoring. • Lead by example in high pressure situations and timely resolution of any day-to-day application system issues/incidents. • Ability to correlate events across multiple systems to proactively surface and resolve deep underlying issues. • Manage communication for Incidents (SLA breaches, Application Major Incidents, Logistics issue) and responsible for communications within team, manager and department. To provide timely escalation/report to all stakeholders concerning BAU matters, tracks and manage the production issue from opening to closure, including follow-up fixes wherever is applicable. • Develop and maintain professional relationships with all relevant business users/operation support centre as well as providing effective and timely support for production issues as well as queries. Communicate complex technical issues to business users in a language they understand. • Liaise with various support units such as Application Development and Delivery unit, Data Security, Infrastructure, Technical Service, and Quality Assurance on system/application setup, environment and deployment. • Contribute in effective knowledge management best practices within team and organization. Work with level 1 support in application knowledge transfer in establishing standard first level recovery process/system health check monitoring/scheduled activities as well as common application user queries. • Participate effectively in cross functional teams to troubleshoot, resolve complex issues, execute continuous service improvement process improvement plan. Work with project/development/Level 3 team in permanent resolution/change request management - all types including enhancements, bug fixes, etc. • Strong support experience for mission critical systems in financial industry, regional system support experience is preferred. • Capable in prompt incident and problem management, provides short term workaround and long term solutions wherever is applicable, in order to maintain system maximum uptime and availability. • Strong in change management control (knowledge in ALDON is preferred), good documentation skills and high problem solving skills. • Strong team player. Flexible and able to coordinate team effectively both in and outside of office hours; willing to take on challenges and provide prompt and effective day and night support. • 3-5 years of production system support experience in the financial industry is preferred. • Experience and good understanding in Remittance and Payment Products such as SWIFT Telegraphic Transfer, Demand Draft, Cashier's Order, local RTGS payment, GIRO and cheque issuance, plus experience in International trade and FX rates broadcasting system is preferred. • Experience writing scripts on automation/event management, database queries, generating capacity and performance reports. • Excellent communication and interpersonal skills, and able to work well with cross-organizational teams; to communicate and develop long lasting relationships with all levels in a clear, concise manner. • Strong problem solving skills while being process orientated. • Self-motivating and delivery focused individual. • Ability to understand the big picture - can step back and understand the context of problems before applying analytical skills to address the issues.Highly motivated, results-driven, and able to multi-task.